Free YELO cycling jersey if you sign up and pay a first 50% instalment by the end of March. Here is our itinerary for the trip with Strava maps and elevation profiles. We are based in a large townhouse in Bourg d’Oisans at the foot of Alpe d’Huez. The plan is to tick off as many bucket list climbs as we can in one trip. There are up to ten on the schedule, but some are optional and/or people could ride in the van for sections between cols if the mileage is too long. 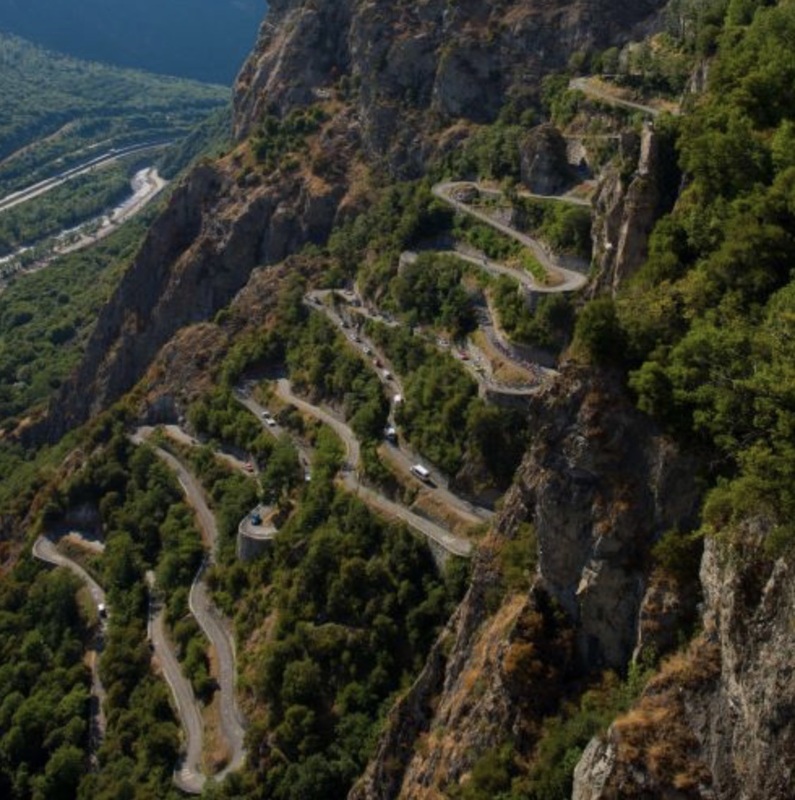 Its a tough challenge to make all ten cols, but each one is iconic in itself. We won’t race up the climbs and no one will be left behind. 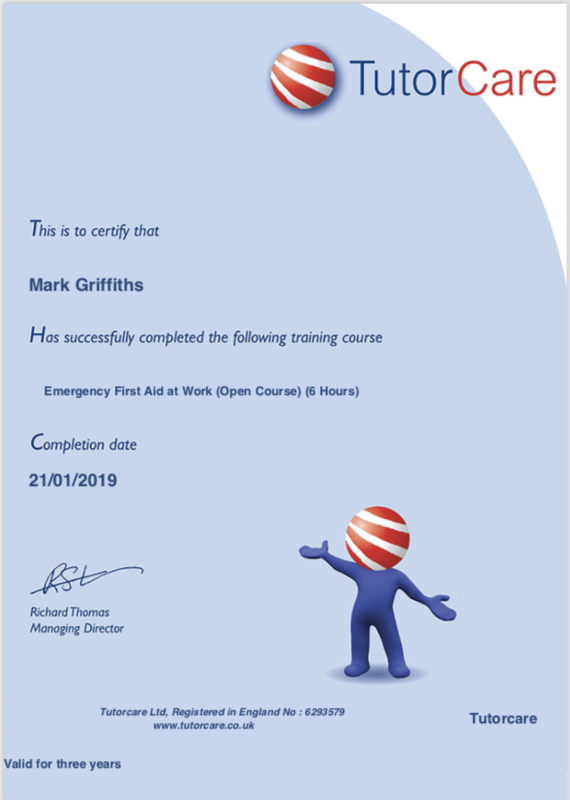 The support vehicle is there to assist with mechanicals and carry extra kit. Delicious lunch stops are planned for refuelling. On three of the four days we get a transit out to a start-point and ride ‘home’ to our base camp in Bourg. These two cols are only about 2km from each other. From our south side approach they are the same road apart from the very last section. 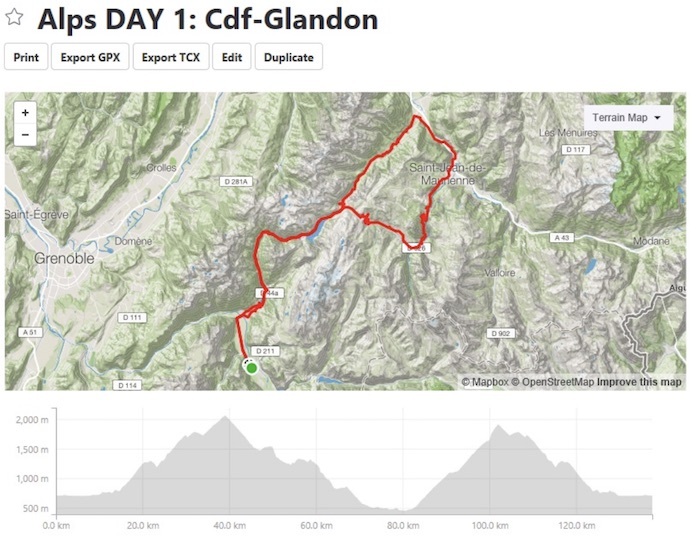 We will climb the Glandon first, and then ride 500m back down then straight away complete the Croix de Fer. 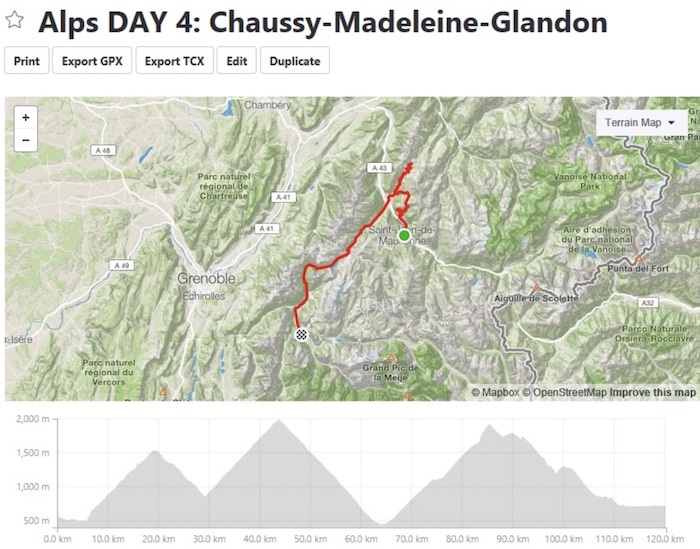 Then we do a big downhill loop to La Chambre and take on the Glandon again from the even more challenging north side. This day is 137km with 4154m elevation. Some riders may want to get in the support van for the section between climbs. We just want to tick off as many bucket list climbs as we can. We take a transit with the bikes in the van and riders in taxis (included) to our start-point at Saint Michel de Maurienne. 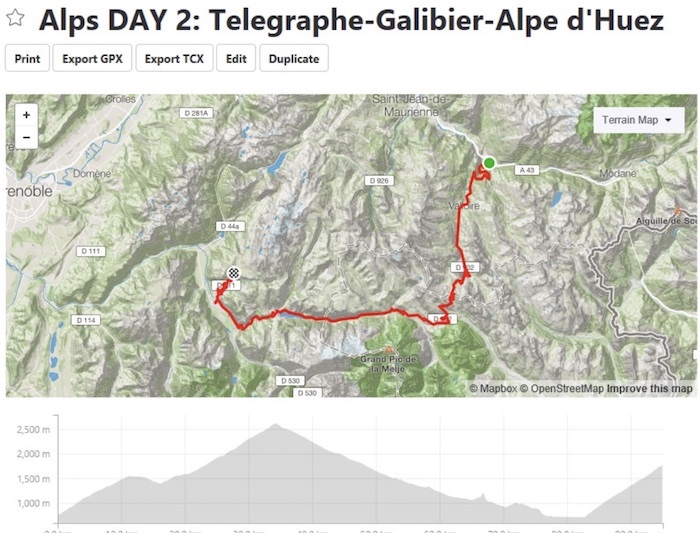 The first climb is the Col du Telegraphe, followed by a short downhill section, through the town of Valloire and then onto the mighty Galibier. After the descent we have a long flat road back to Bourg, with the epic Alpe d’Huez to finish the day. 21 hairpins to glory. We transit to Guillestre and take on the Izoard through the infamous “casse deserte” landscape. Then we drop down to Briancon for lunch. We then ascend the Col du Lautaret. 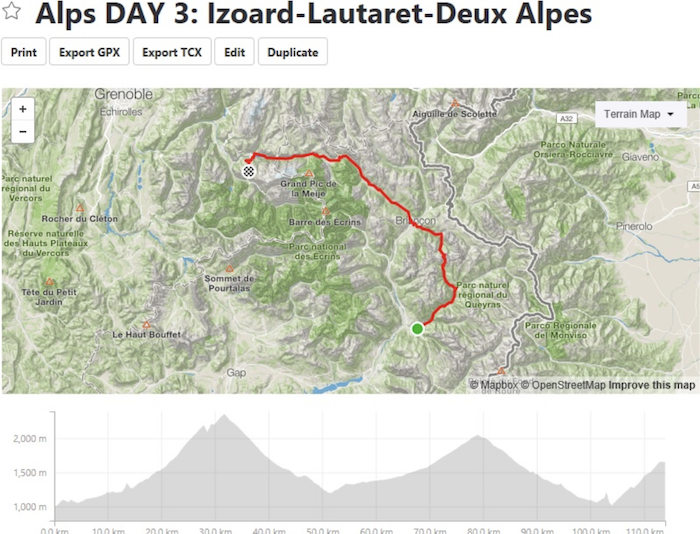 A long descent takes us into Bourg again with the option of the Deux Alpes climb for anyone keen for more. Saint Jean de Maurienne is our start-point close to the start of the Lacets de Montvernier. The lacets are 17 switchbacks in the space of only 2km. A stunning road that clings to the side of the mountain and takes us up to the main climb to Col du Chaussy. After this first summit we descend to meet the southern climb of the Col de la Madeleine – cruel and beautiful in equal measure. At the top we simply turn back down (good option of getting in the van here) and ride home… but encounter our old friend the Glandon from Day 1 on the way. We hope you like the itinerary and we look forward to hosting a fantastic French tour.